It's that time of year again! I love looking back at the year, remembering all of the favorites that the year has brought into my life, whether it be moments, music, movies or books. Today, on book chat day, I'm sharing my favorite reads of 2013. Sadly, with all that this year held for us, (you know, moving to Europe and all), I did not even come close to reaching my reading goal. And what's more…I found that I read a lot of okay books and not many really blew me away. What a major bummer. In fact, it's sort of left me with this blasé reading appetite lately. Enough with the melancholy. Today is about the good stuff. So, here are the best books I read this year. I do have to say though…the few that did blow me away…really f*&%ing blew me away. This was the last great book I've read. If you've ever thought Paranormal YA was all frivolous, this puts that idea to rest. It was so heart-ripping and gut-crunchingly romantic -- and not all boy/girl romantic, but that all-encompasing romantic. I loved the writing, the setting, the fantasy, the chemistry, the romance. In sequel, she changed the setting and split up the couple, so it was less lovable, but I'm still looking forward to the final book. It's really a great series. See the playlist I created for the book here. What a book. This was the book I was hurling at people insistently this year. What, you know how to read? Here: read this. Look here. This Brashares lady should be behind bars for the soul-crushing she did with this book. No, really though. We have the potential for a real mutiny here and a few of have even stalked her down on Twitter for a sequel. She told us that the publishers put the halt down on the next book, so you know…we're gonna burn that mother down. I see picket signs and chanting. I'd lay down in front of a bulldozer if that's what it's going to take. We need more of Daniel and Lucy. This book did things to me. I was SO (I mean SO) excited about this book. These two characters have played on the sidelines for so long that we were able to watch them grow up and fall in love and I feared the debate of writing a m/m love story in a mainstream series would never happen. I couldn't care less that they were both dudes…one of them could have been a toaster for all I cared. I love these characters and this story and this world and all of it. 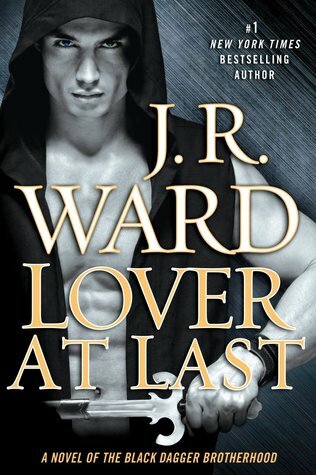 This is the only cheesy-romance series I read, and it's my major guilty pleasure so just leave me alone about it. A beautiful two-part love story, written by a new favorite author of mine. 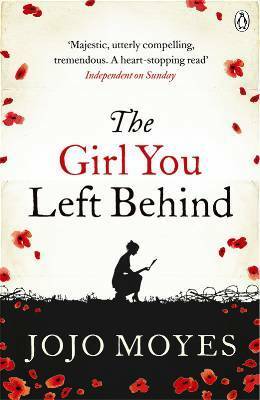 Parts were set in a small French village during WWI and having just moved over here, I felt like this book just came to life for me. So, those are my favorites of the year. These were the books that kept me up at night and bursting into tears for no reason during the day. I wish there had been more, but I guess I prefer quality over quantity. I hope this next year will be more settled and I will be able to get more reading done. I also wish I had read more of the buzz books of the year. There were so many great new releases that I didn't even have a chance to read yet. There's always next year. So, what about you? What were your favorite books of the year? Please link up with us and go check out our co-hosts posts as well! Please visit and follow our awesome co-hosts today! Ah! I bought "Daughter of Smoke and Bone" months ago but have yet to read it. This convinced me I need to do just that! Me Before You destroyed me for like a week. In the best possible way. It is my goal to read Me Before You as soon as I can, I've heard so many good things about it. 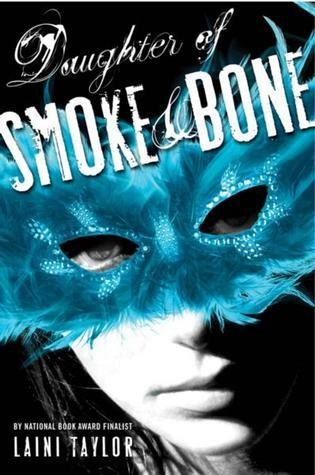 Daughter of Smoke & Bone has been on my "to read" list for too long! I absolutely loved Daughter of Smoke and Bone. A couple of the others you mentioned are on my reading list, but I haven't gotten to them yet - like Me Before You. 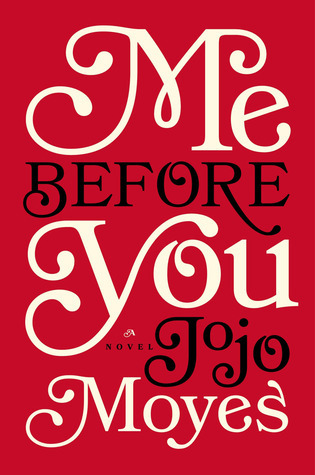 I've been seeing Jojo Moyes everywhere! I really need to pick up one of her books. 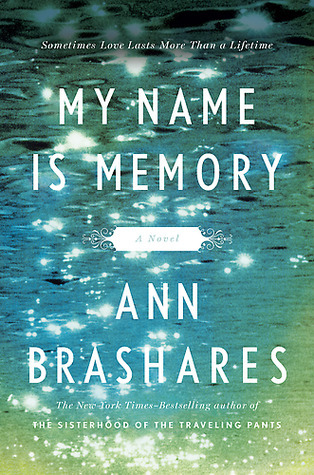 And you and Fran both named the Ann Brashares book, so I definitely need to read that! Totally putting these all on my list! Daughter of Smoke and Bone is sitting on my to-read shelf right now. I'm hoping to get to it before the end of the year. I'm not much of a romance fan, but I've heard so many good things about Jojo Moyes so I might have to try out one of her books. Just read My Name is Memory in 24 hours... Loved it! Daughter of Smoke & Bone though. SO. GOOD.